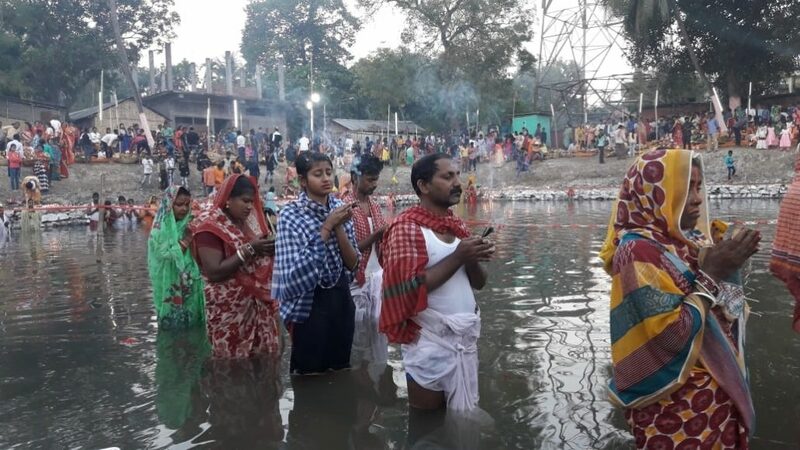 Celebrated on the sixth day after Diwali, pomp and gaiety marked the Chhath puja festivities in Hojai district of Assam on Tuesday. Devotees thronged the ghats to pay oblation to Sun God, who is considered as the source of life on this earth and is regarded as the deity who fulfills all our wishes on Tuesday evening as well as early Wednesday morning. Devotees from different communities like Assamese, Manipuri, Punjabi, Bengali, Marwari, Karbi also gathered at the ghats to appease the Sun God. 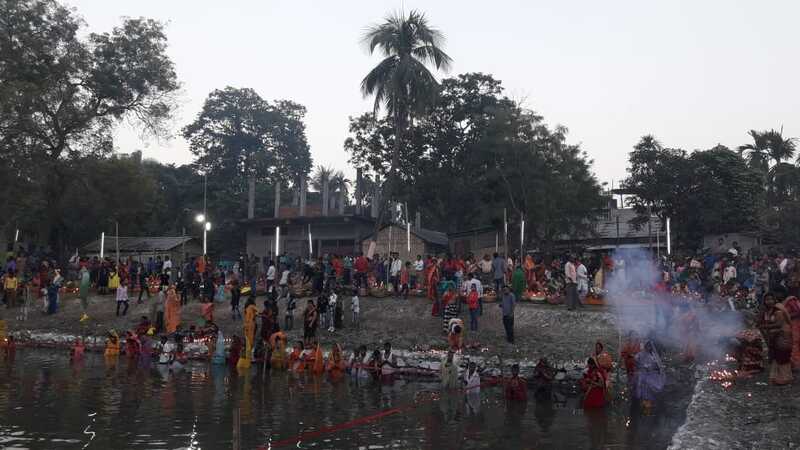 Sun idol was placed for prayers in both the ghats, the Shiv Bari Ghat and Natun Bazar Ghat in Hojai. 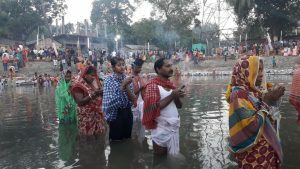 Apart from this, in Siliguri Basti, Amtola Basti, Tali Basti, Mandoli Gaon also devotees following all the rituals prayed Sun God. The ghats were fully decorated with colourful lights and light gates were erected. Children enjoyed the day with bursting of crackers and having delicious food. At Natun Bazar ghat, on Tuesday, the occasion was graced by officer in charge of Hojai police station, Kiteshwar Baniya, where he prayed in front of the idol of Sun as well as at the ghat. “I greet the devotees and worshippers on the auspicious day of Chhath Puja,” said Kiteshwar Baniya. Every ghat committee of Chhath puja, were successful in organizing the puja peacefully. Special attention was given to cleanliness. The police authorities had also made proper security arrangements for the occasion.